Quincy Farm Products – a division of Quincy Recycle – is a food byproducts solutions provider, buyer of industrial by-products, and a feed blender. Our facility in the heart of the agricultural Midwest has capabilities for grinding and blending. Quincy Farm Products works with food manufacturers to divert food by-products from landfills, and with ag producers and food processors to develop healthy, nutritious, and balanced livestock feed and feed ingredients. We work with food manufacturers, grain processors and millers to recycle food scrap and other food byproducts. Whether you currently have a food by-product recycling program or not, a call to Quincy Farm Products is worth your while. We can often find additional recycling options for both your food and non-food manufacturing waste. Livestock feed producers use QFP to develop and blend animal feed products with specific protein, energy, and fat levels.They also buy high-quality feed ingredients from QFP. Feed manufacturers large and small work with us to produce feed for cattle, poultry, and other livestock. Our ingredients and products are developed from human quality post-industrial food inputs. 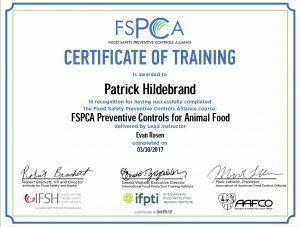 Quincy Farm Products is FSMA (Food Safety Modernization Act) compliant. We work with our suppliers and customers to ensure that all FSMA regulations are followed and industry best practices are put in place. 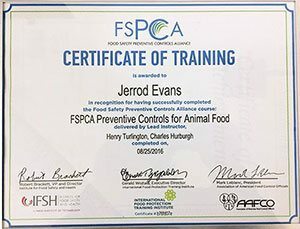 To that end, we have three senior staff members who are FSPCA (Food Safety Preventative Controls Alliance) certified for Animal Food. If you have any questions about our adherence to FSMA, or how those regulations can impact your business, contact us. Quincy Farm Products works with food manufacturers to divert food waste from landfills, and with ag producers and food processors to develop healthy, nutritious, and balanced livestock feed and feed ingredients.